One aspect of managing files is the ability to use a file manager program to navigate through the folders of your filesystem and locate specific files that you wish to manipulate in some way. A second aspect is using the file manager, whichever one you prefer to use, to open that file using the appropriate application program. For example, you want to simply click on a spreadsheet to automatically open it with the LibréOffice Calc program. The same is true for word processing documents or JPEG graphic files or WAV audio files. You may want the JPEG file to open in an image viewer and the WAV files to open in a media player. There are hundreds of file types which you will need associated with one or more application programs. Figure 1: The File Association menu allows you to associate specific file types with the application programs used with them. Click on the image to view full-size. Linux has a default set of known file types and usually one or more applications already associated with them. You can find these associations and change or add to them in the System Settings ==> File Associations configuration page. You can use the filter on the upper left of the File Associations page to locate the specific file type in which you are interested. Simply type in the file name extension, such as ODT (Open Document Text), and the known types using that extension will be displayed. 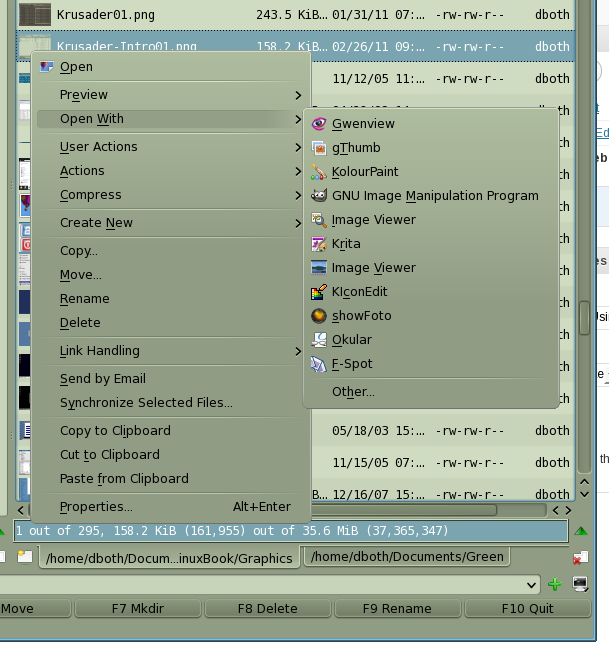 On the lower right, applications associated with that file type are displayed in preference order. Note in Figure 1, that the ODT file type is associated with multiple applications. The default application for ODT documents is LibréOffice Writer, the topmost application in the list. To make a different application the default, highlight it and use the Move Up button to move it to the top of the hierarchy. 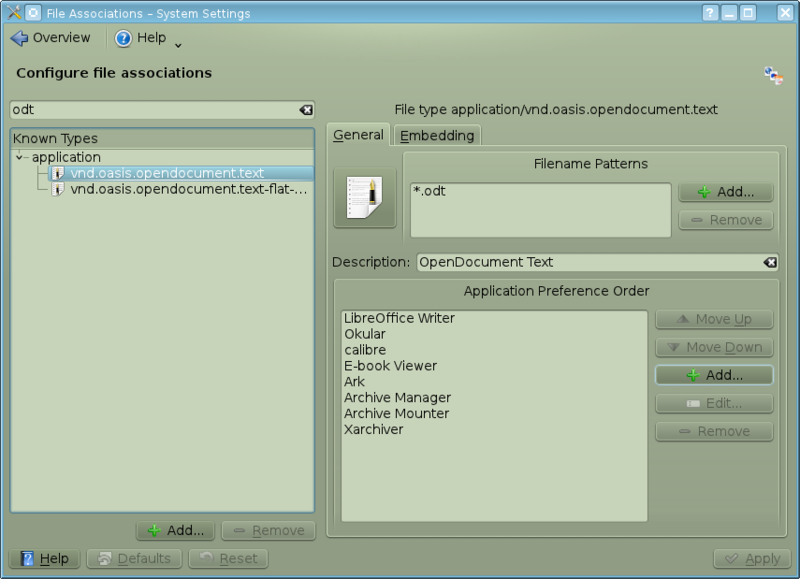 Figure 2: Using the Open With menu to open a file with an application other than the default. In this case you can open a PNG image file with any one of several application programs. You can easily open the file with any of the listed applications other than the default application. Simply right click on the application in your file manager, and a context sensitive menu pops up. Then click on Open With and then the application of your choice. Figure 2 shows this menu. When adding a new application from a Fedora repository using YUM or from an RPM package using the rpm command, most applications add themselves into the KDE launch menu and many add the appropriate associations so that you need to nothing. You may need to add an association for applications that do not automatically do so, or when you receive a file of a type that you know is usable with a specific application you already have, but for which there is no existing association. Simply use the File Association menu to locate the correct application program. Then add the new filename pattern in the text box at the upper right. Always click Apply after making any changes.